“An allergy of the body and obsession of the mind” That is still the best description. All I know is that addiction is not a crime but that never stops the soulless profiteers in the criminal injustice system from screwing up the lives of people they convict of addiction. How would those people working in those court buildings pay for their fancy cars in the parking lots and fancy houses in the suburbs if they ended the war on drugs and used that money for helping people instead ? 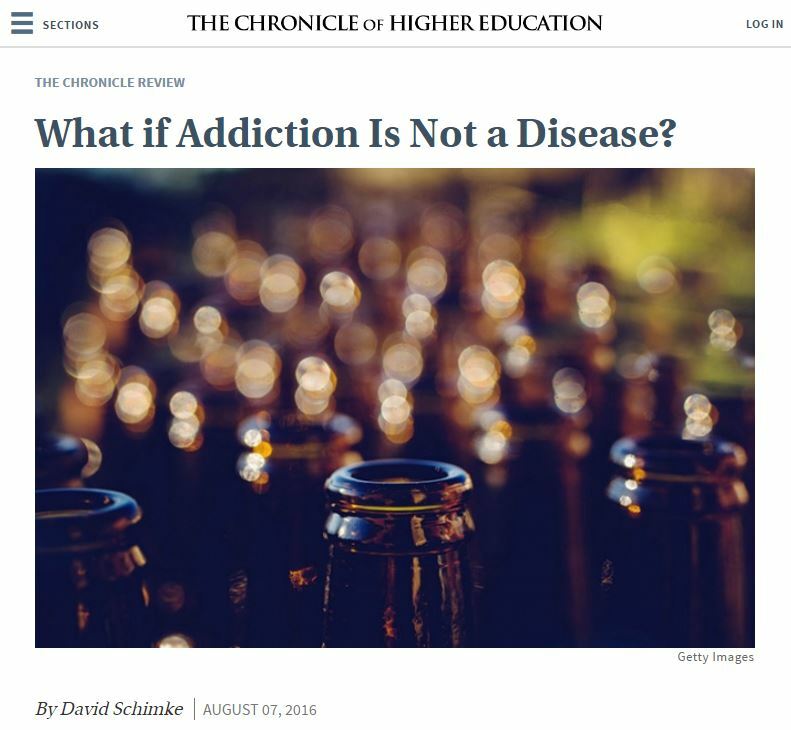 Of course addiction is not a disease. Amazing how many people cannot understand this. Addiction is a matter of degree along a continuum, of lesser or greater attachment to certain things and their effects on psychological / biological processes over certain timeframes. It’s not like having or not having a physical illness. Is having poison ivy a disease ? Heroin and Cocaine come from plants. The addiction some people get from it is an allergic reaction. Au contraire, mon frère! Anybody who is addicted to anything obviously has SUD. That’s “Substance Use Disorder”. It’s a *mental8 *illness*, and it requires lots of very expensive “treatment”, usually involving expensive DRUGS, and it’s billable to Medicare, Medicaid, & Insurance Co.’s, at *PARITY*, under Obamacare…. Now, of course, I don’t believe any of the malarkey I’ve just written, myself, but that’s what all the politicians are saying…. The so-called “heroin/opiate epidemic” here in N.H. is all the political rage, for Dems., AND Repubs…. And, that bogus “SUD” “diagnosis” is part of the Dems. platform. There’s a HUGE financial incentive to push the “substance use as a disease” model, FOR PROFIT, and VOTES…. And yes, if they could figure out a good way to monetize & financialize them, both poison ivy & mayonnaise would be diseases! Unless somebody can show that they’ve changed their official policy recently, then let’s assume they haven’t. Most people WRONGLY assume that A.A. says alcoholism is a “disease”. They don’t. A.A. DID introduce the “disease model” concept, meaning that A.A. says it’s better to view alcoholism *as* a “disease”, or *like* a “disease”. This was seen as an improvement over previous moralizing, and the blaming and shaming that accompanies that…. A.A. does NOT say that “alcoholism is a disease”. I went to my first A.A. meeting in 1980. The mis-conception that alcoholism is a disease is rampant in society….